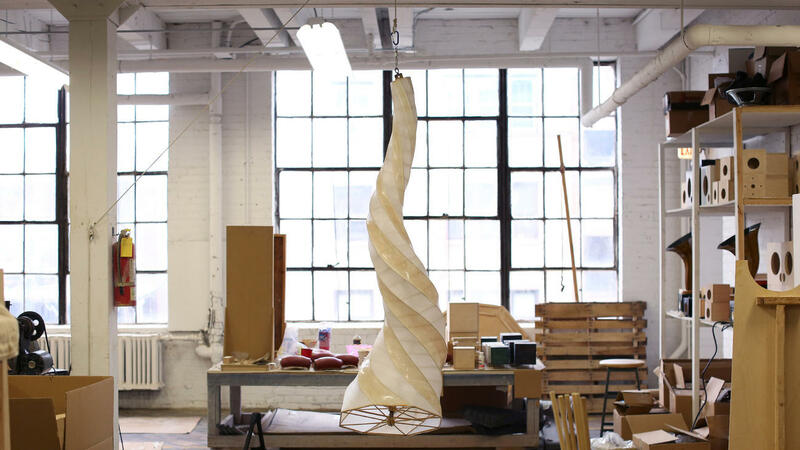 Ian Schneller is no stranger to the Chicago maker movement. 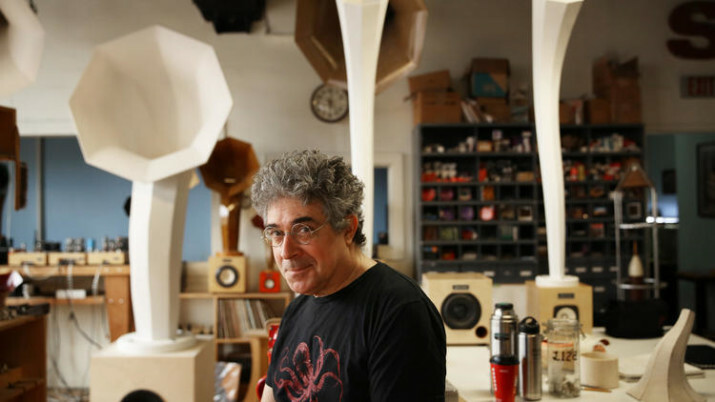 His guitars, tube amplifiers and artful, retroish horned speakers have been turning heads for years, earning him an A-list clientele from Andrew Bird to Jack White. Now he’s looking to scale sales of his handmade amps by offering a do-it-yourself kit aimed at hi-fi-loving tinkerersBuyers will get all the components and instructions they need to build a tube amplifier that, while looking rather steam-punkish with its wooden body and exposed glass tubes, can play music from turntables as well as Bluetooth-enabled smartphones. Schneller-built amps usually sell for $4,900. The kits will sell for $1,200 to $1,400, and should be available early next year. Schneller said he needs to complete the step-by-step instructions for the kits before he can offer them for sale. The typical buyer should be able to assemble an amp in “a long weekend,” he said. The beauty of the tube amplifiers, Schneller said, is in their simplicity. “This is primordial electronics,” he said of the simple units, which he believes deliver far better sound than microchip-laden sound gear most people are used to. He picked up one of the amps and held it upside down, showing the exposed electronic array inside. Although the unit only generates eight watts per channel, compared with high-tech amplifiers that typically boast 100 watts of power, he said the tube amp’s efficiency allows it to produce comparable sound. Schneller said he sells about 100 of his amps each year, but wouldn’t predict how many kits he expects to sell. 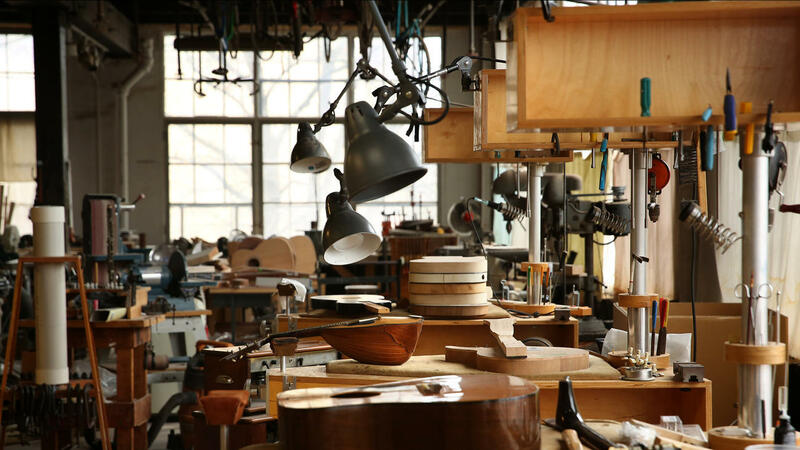 Part sculptor, part luthier, part electronic tinkerer, Schneller said he’s been happily riding the wave of the so-called maker movement for more than 10 years. That’s what he likes about the tube amps: Even someone with limited knowledge of electronics can see how they work and tweak the sound. “You can change one thing and see how it sounds, then change something else and see how that sounds,” he said. Schneller will sell the tube amps under his Specimen Products brand. He also runs the Chicago School of Guitar Making out of his Humboldt Park studio, where students learn guitar making and repair, as well as tube amp-making. Check out the entire photo gallery from the interview here.